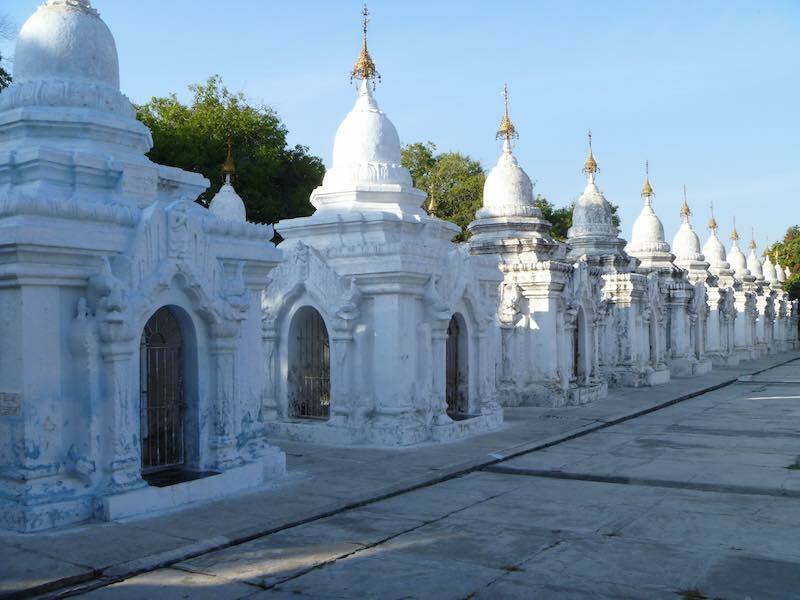 The Kuthodaw Pagoda in Mandalay is often known as the World’s largest book. 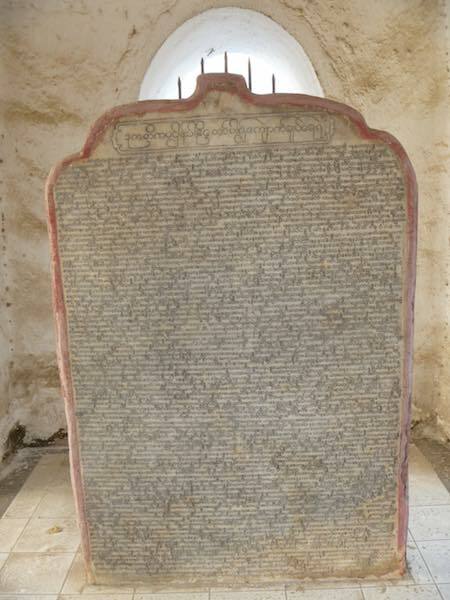 Now in my world, a book is a object you hold in your hand and flick pages, virtual or otherwise. 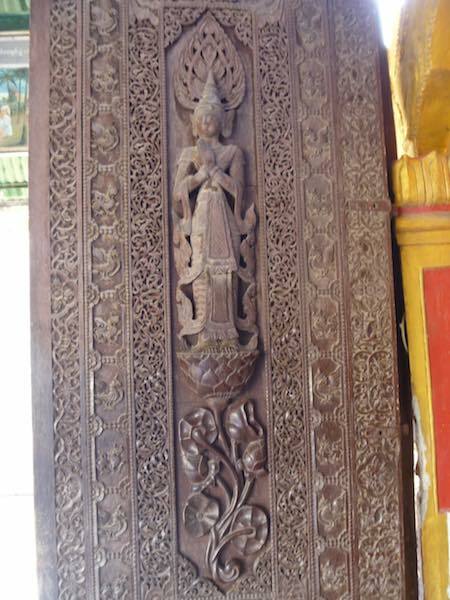 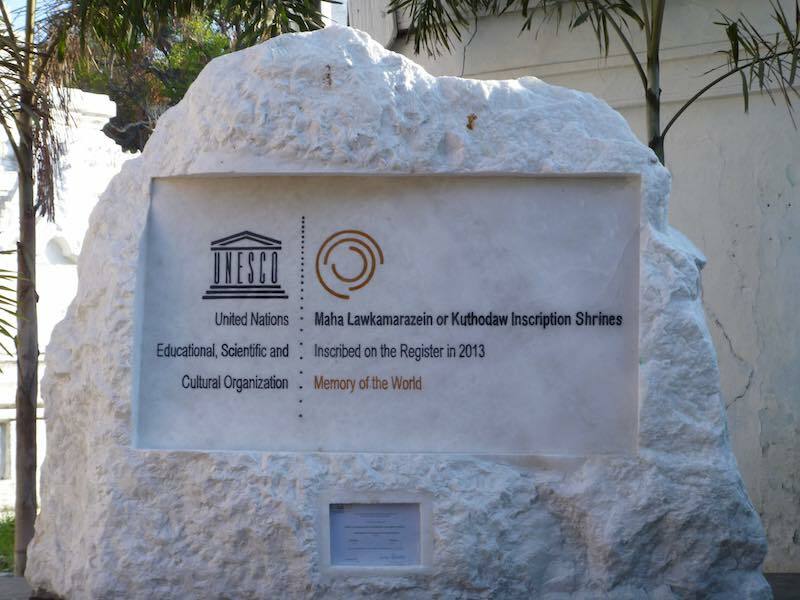 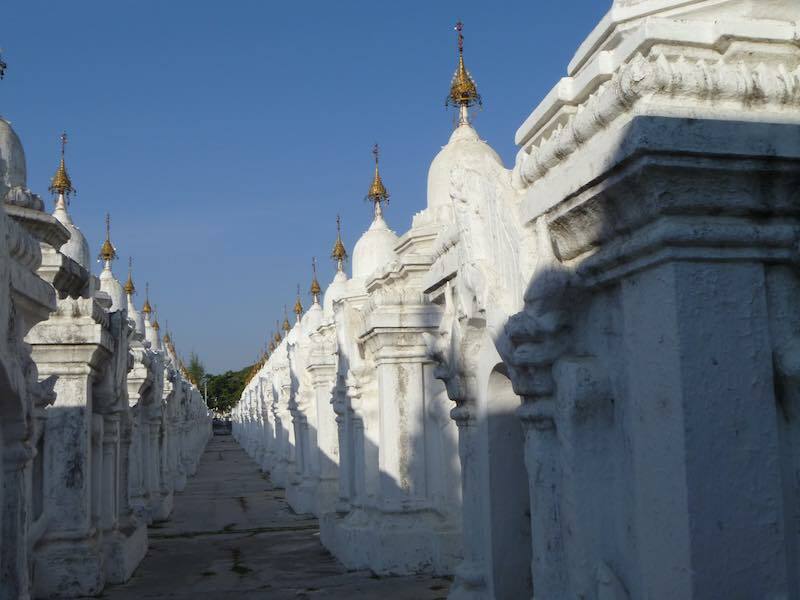 I wouldn’t have to put the book from Kuthodaw Pagoda into my handbag as its made up of 730 stupas of which each hold “pages” of the book, more technically speaking, is a stone tablet. 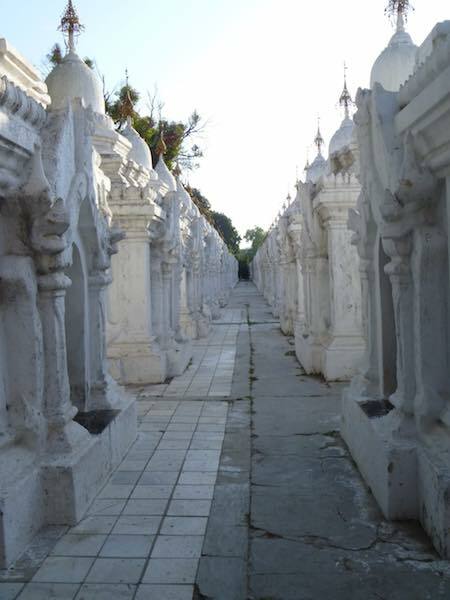 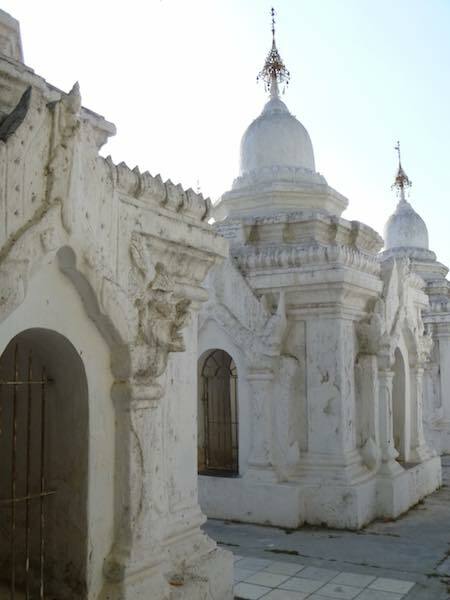 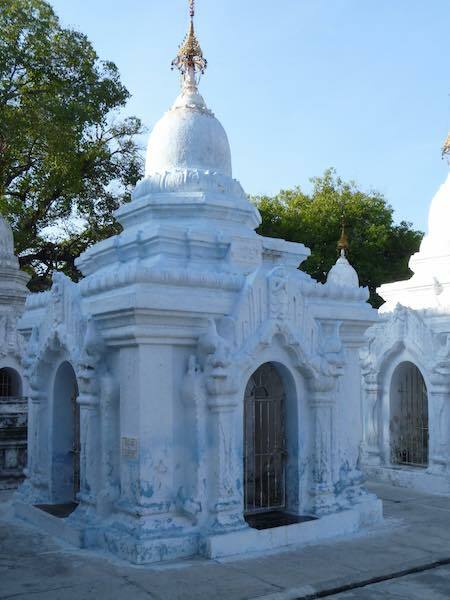 At first look, the place looks more like a dazzling white mauseleum, until you look into the stupas themselves to see the religious writings upon the tablets. 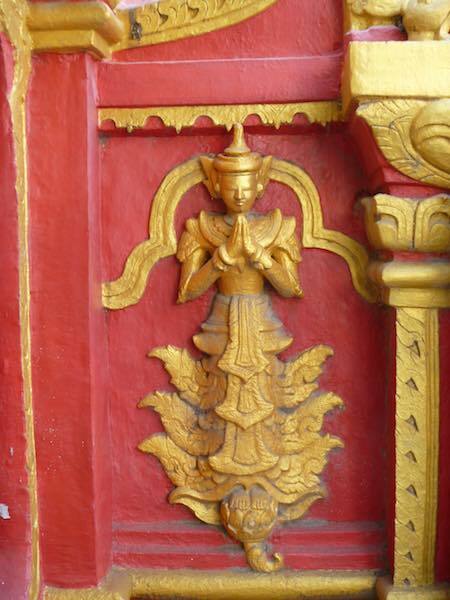 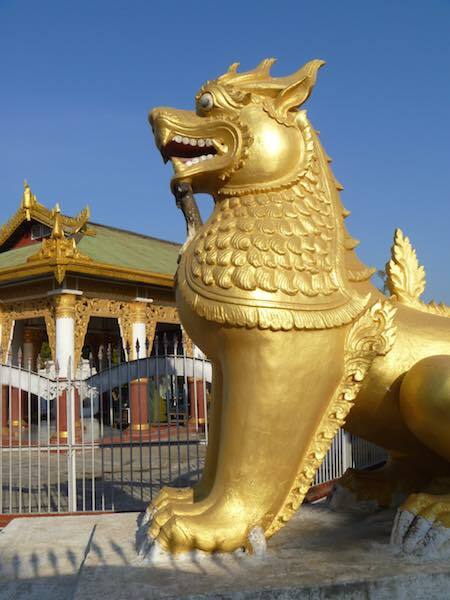 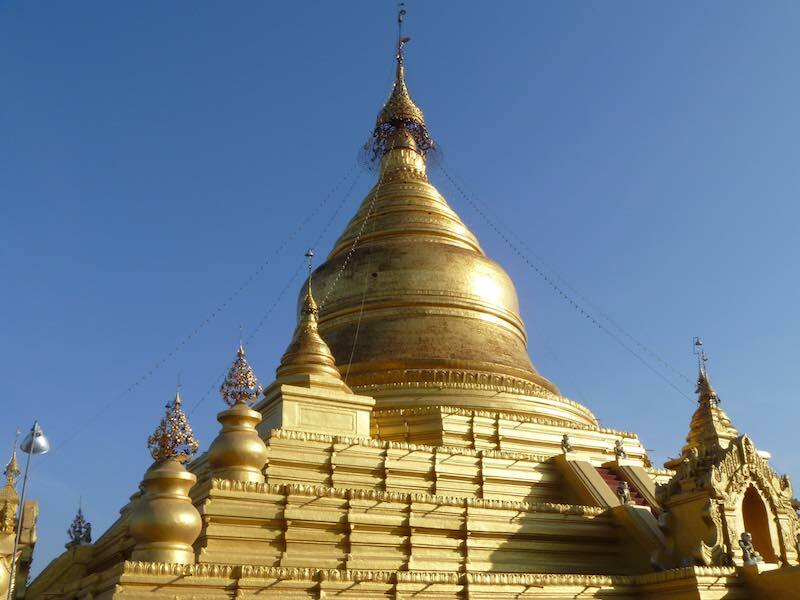 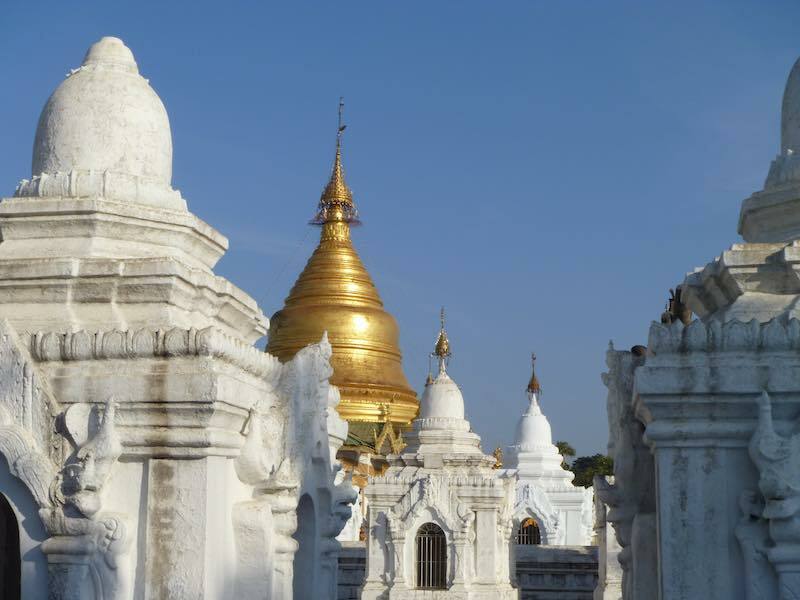 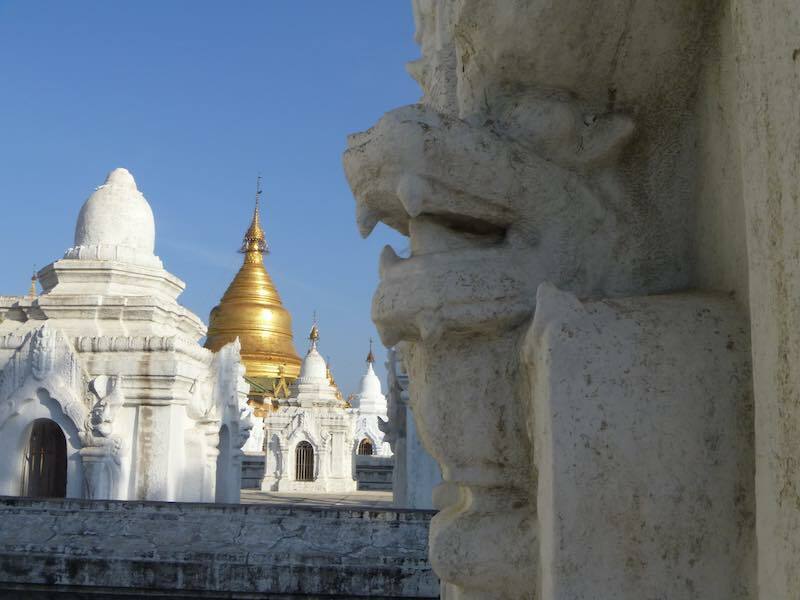 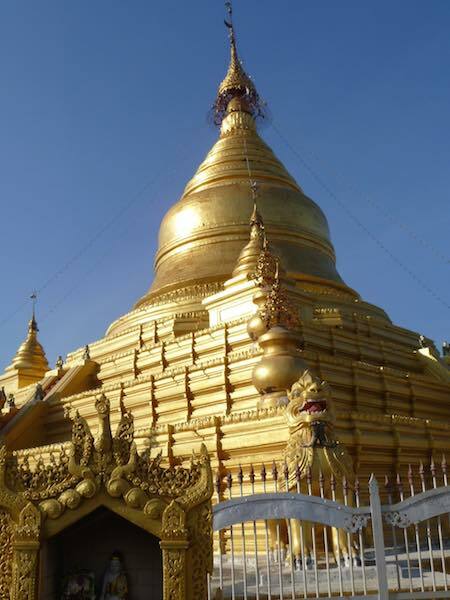 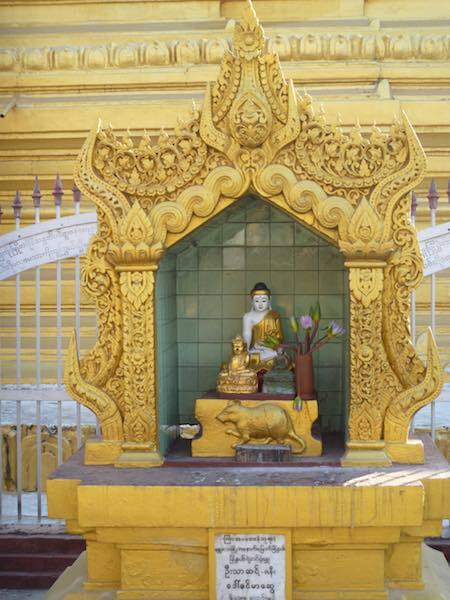 In terms of visiting, the Kuthodaw Pagoda is at the base of Mandalay Hill and entry for visitors is $US5. 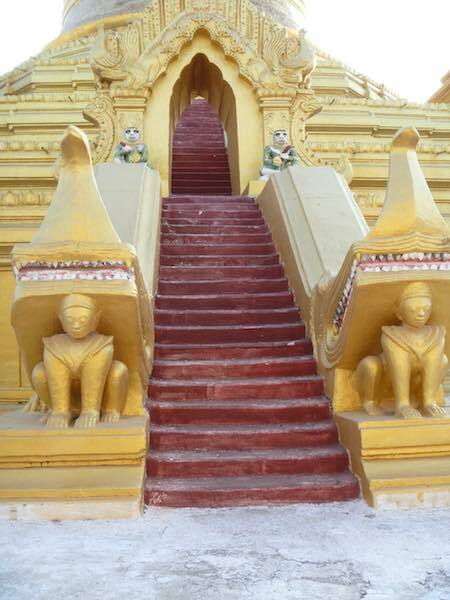 We were there early in the morning as one of our first stops for the day and had the place mostly to ourselves. 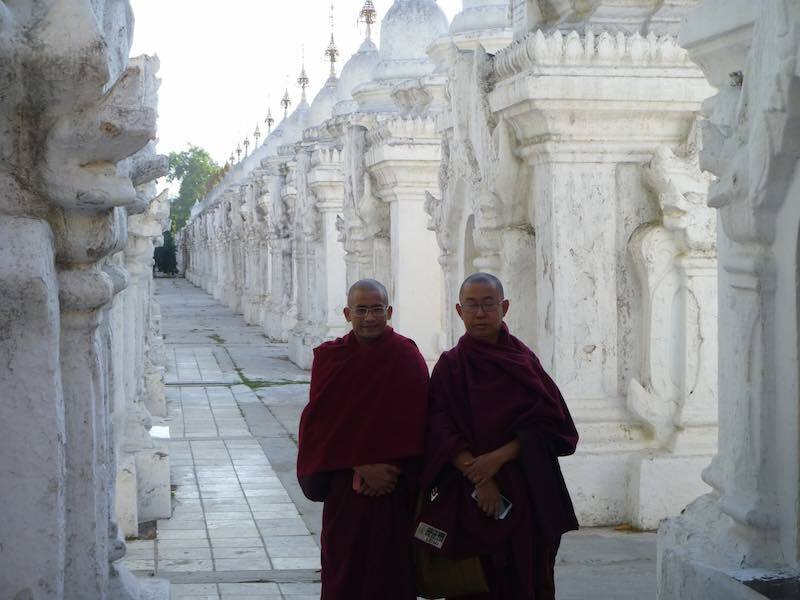 There were some visiting Monks there who wanted to take our photos and have their photos taken with us. 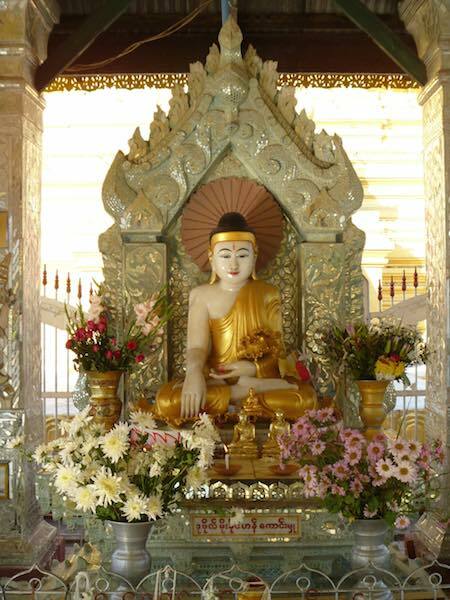 We said of course, and asked them if we could take their photos which they graciously allowed.